ONE DOWN – MANY MORE TO GO! I have completed my first coloured pencil painting for next year’s (March) exhibition. I am not painting in any particular order, I’m relying on my most memorable places first, then I’ll decide what else I will include at a later date. Darwin is my first stop on re-tracing my 12 month holiday. 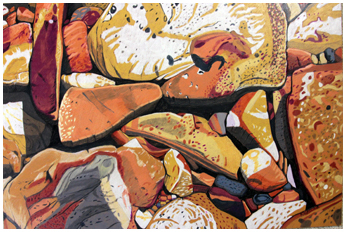 This painting is all about the intense colour and the abstract qualities of the rocks I saw on the Darwin foreshore. I saw so many interesting rocks that it was hard to decide what and what not to paint. I’m starting with a very striking subject and I’m painting that way. I expect that the entire group of paintings will be a good deal ‘louder’ than my usual work. The memory of my recent 12 month holiday is indelibly etched in my mind. The most striking aspects of my trip were the intense light and strong, contrasting colours. I have started and completed another, this time in ‘portrait’ format that features several large stones and some groups of very small stones. The colours again are quite striking. The abstract patterns on many of these rocks has moved me to plan a series of small abstracts, some of which I aim to include in the exhibition. I have decided to feature other subjects not just rocks as I had planned for my exhibition, now to be called My Gap Year. On Wednesday I will post a photo of my second (completed) painting and reveal my decision for my second preferred medium that I intend pursuing this year. 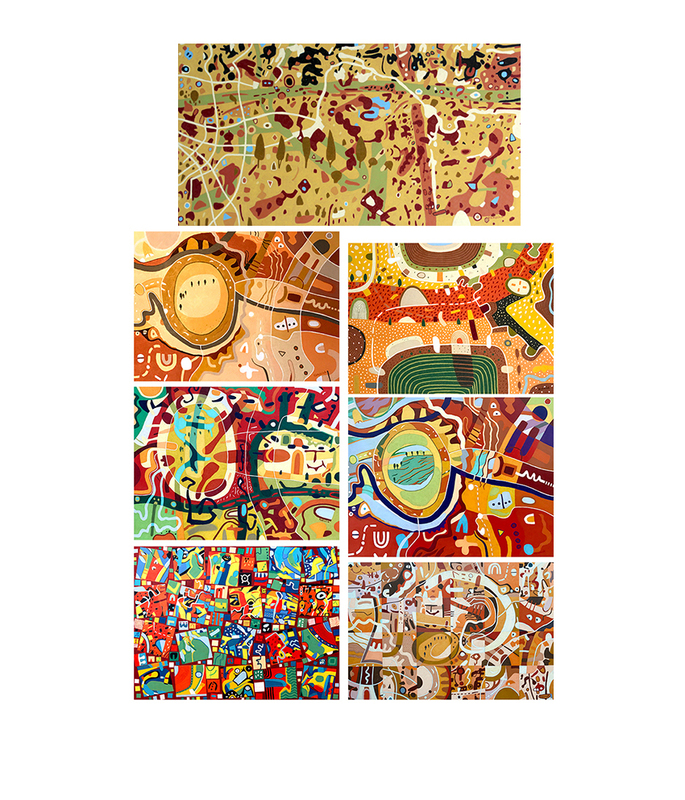 This entry was posted in Uncategorized and tagged abstracts, coloured pencil painting, Darwin, exhibition, rocks, series. Bookmark the permalink.